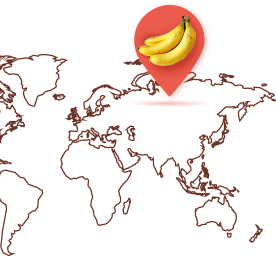 Go bananas with your favourite fruit! Let’s get to know the universal favourite banana a little more. Did you know that banana is actually a part of the herbaceous plant family as it grows not on trees but tall herbs that grow up to 15 metres? Native to Southeast-Asia, the origin of bananas can be traced back as far as 600 BC in Buddhist texts, even though they are rumoured to be first spotted in New Guinea around 5000 BC. Alexander the Great too mentioned bananas in 327 BC and is believed to have introduced them to the Western part of the world through his expeditions. A majority of bananas are green in colour when raw and intense yellow when ripe. Some varieties of ripe bananas have brown spots on the skin. 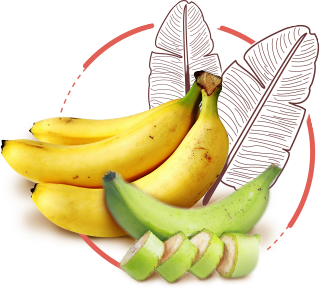 All ripe bananas are sweet in taste while the unripe ones are more fibrous and starchy. 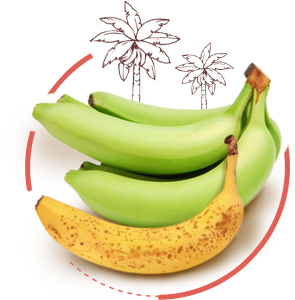 Unripe bananas are used in tropical countries as a vegetable. In fact, in India alone, ripe bananas are used for a variety of dishes like poories, halwa, pakodas, appams, dosas, paniyarams, chips, banana curry, pachadis and even kebabs. They are also used to make milk shakes and flavoured yoghurt because of their sweet and sugary taste. In the Bengali and Kerala cuisines, banana flowers and stems are used to make various curries and veggie dishes. 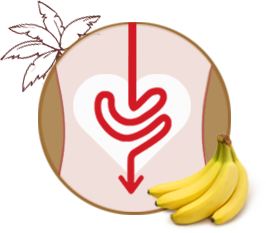 Potassium, vitamin C and vitamin B6 content in bananas is said to be good for the heart. Bananas provide instant energy too. They are packed with fibre which helps in reducing muscle cramps. 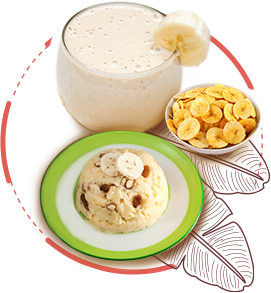 Rich in pectin, which helps with digestion, banana is also believed to help stabilise blood sugar level.